Provided photo via Angela Burns. 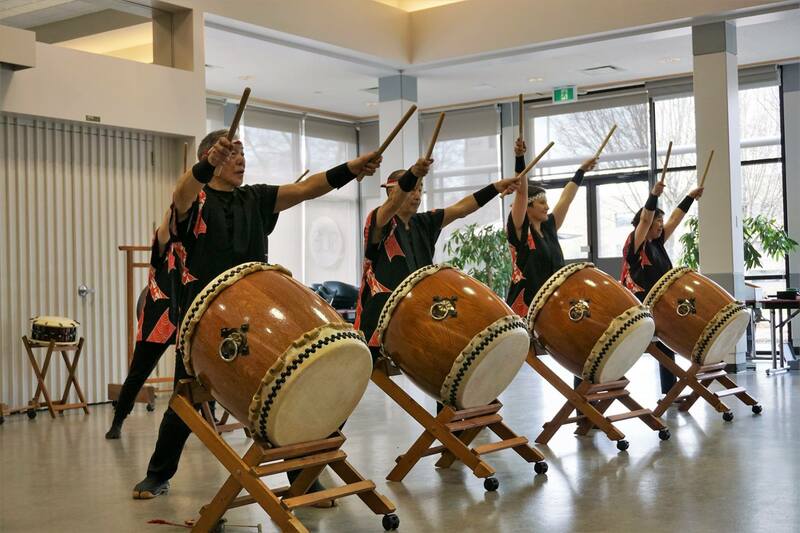 From the drums of the Uminari Taiko group that made the Michele Pujol room rumble to the Furusato Dancers twirling with branches of flowering cherry blossoms, the Japanese Equinox Festival, held on Mar. 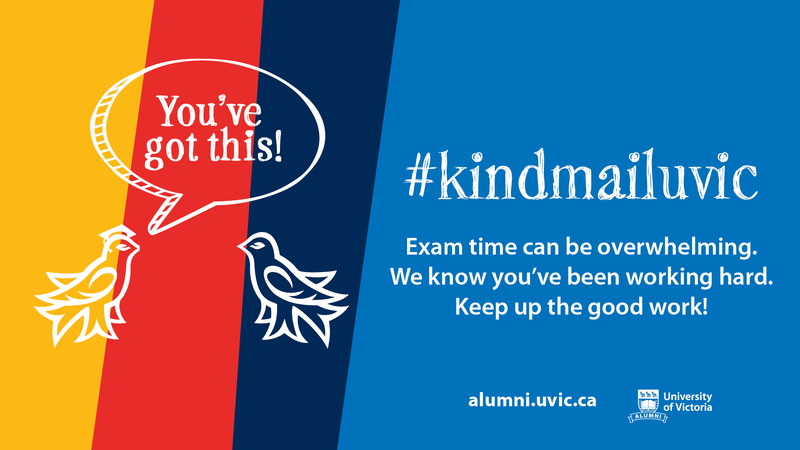 23 in the Student Union Building at UVic, was subarashii (awesome) to say the least. Performances during the day-long festival also included the Japanese martial art known as Aikido, as well as Kendō, a sport similar to fencing. 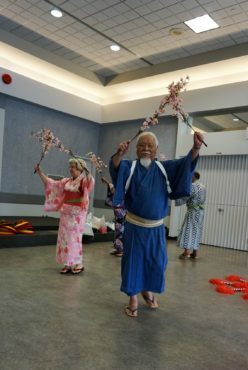 “All the performers were just really amazing, and whenever they would start performing, people from even outside would start filing in,” says Tariq Chatur, one of the Japanese Culture Club’s leaders who organized the festival. The bright colours of traditional kimonos and yukatas, usually worn in the warmer seasons, made the stark point that it was time to bring in the spring Japanese-style. Between performances, participants followed the mouth-watering smells of okonomiyaki (Japanese pancake) and miso soup to cash in their food tickets, while children played with yo-yo tsuri (water balloons) and wanage (a ring toss game). 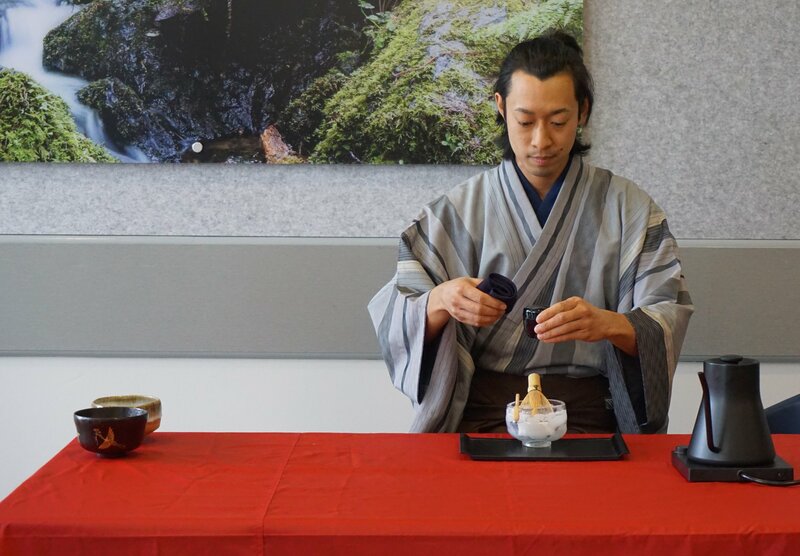 A Japanese tea ceremony, hosted twice throughout the day, was a highlight for attendee Kevin Huang and his family. “We watched the tea ceremony, which was interesting because we have [had] matcha tea before but never … [accompanied by] the whole ceremony,” he said. Knowing the customs adds a new level of understanding to drinking Japanese tea, said Huang, who brought his son Kesler to the event because he wanted to introduce him to another culture. Kesler has three Japanese teachers at his day care who have taught him some Japanese words, but now he has a glimpse into Japanese culture as well, said Huang. The Martlet tried to ask Kesler what he thought about the festival, but he was too busy playing with his yo-yo tsuri. One table featured the UVic-based ‘Landscapes of Injustice’ project, which confronts the episode in Canada’s history during World War II when Japanese-Canadians were deemed “enemy aliens” and approximately 120 000 were forcibly displaced to internment camps. 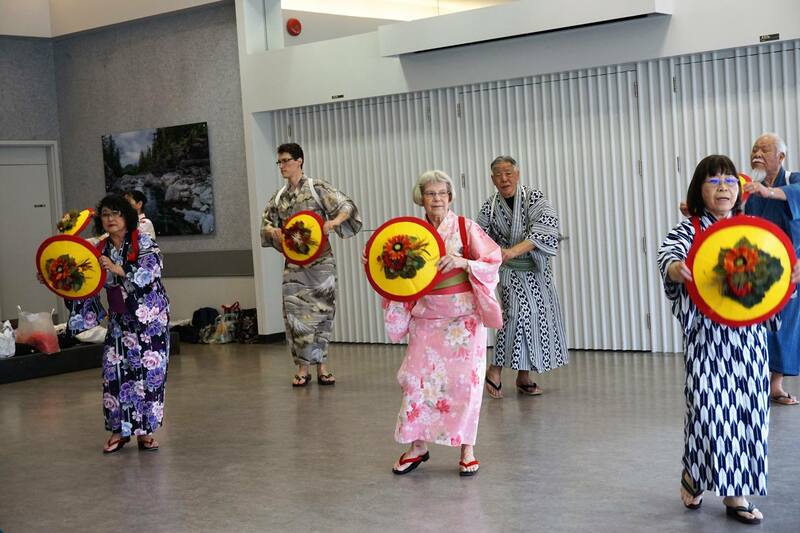 In addition to the cultural performances, there was also a Japanese-Canadian history portion of the festival. One table featured the UVic-based ‘Landscapes of Injustice’ project, which confronts the episode in Canada’s history during World War II when Japanese-Canadians were deemed “enemy aliens” and approximately 120 000 were forcibly displaced to internment camps. In the process, they were dispossessed of their property, which was never returned after the war. Project manager Mike Abe and his daughter Natuski Abe, project assistant, were at the table presenting the $5.5 million-project, which was started in 2014. Mike’s own parents were interned as children in the West Kootenay communities of New Denver and Lemon Creek, but when Mike was growing up, his parents and grandparents refused to talk about their experiences in the camps, he said. Provided photos via Angela Burns. Thanks to the project’s investigation of government records from the time of displacement and dispossession, Mike has been able to fill in the gaps, both in his own family history and for others. Working on the project has helped Mike’s daughter Natsuki learn more about her family, too, sometimes unexpectedly. Seeing the records of her own relatives made Natuski realize that this really was her own history, and she is excited to continue exploring it. But this history of displacement and dispossession belongs to the rest of Canada, too. The project will begin its tour across Canada in 2020 in order to bring awareness to all Canadians regarding this dark episode in the country’s narrative. After settling at the Royal BC Museum in Victoria around 2022, the exhibit may even travel internationally to places like Yokohama, Japan and Los Angeles. As the festival came to a close, Chatur reflected on all the assistance the Japanese Culture Club received to make the event happen. “It was really just a community effort, and I’m really happy that we got helped by so many people, like the Nikkei Japanese Community and the Japanese Friendship Society, and even the Consulate General in Vancouver,” said Chatur. For next year’s festival, participants can expect a celebration of an even greater calibur. The club has the dream of securing government grants to host the festival on a bigger scale in downtown Victoria, with Japanese restaurants vending food, Chatur said. “Next year we want to make it bigger and better, but the only way we can do that is if more people get involved,” he said. Many members of the club’s leadership team will be graduating soon, and will need to be replaced. But Chatur says he festival was a way to get the ball rolling to make it easier for the next round of recruits. “For our final contribution to the club we wanted to have a festival … and hopefully use this as an opportunity to pass the torch on to other people,” said Chatur.